Here it is Monday again, and I don’t know what’s for dinner yet! What about you? Get out your pencils and let’s do it together! Looking in my fridge, I see we have a bunch of leftovers. My first task is going to be transferring all the leftovers in large containers and pots and pans into smaller containers, perfect for popping into a lunch box. That will also give me a chance to assess what we have already that could inspire another meal this week. 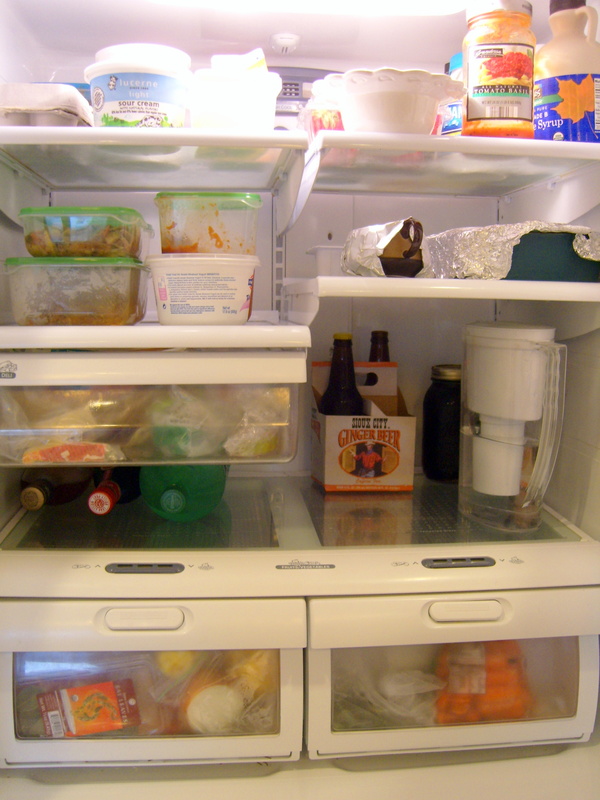 Hey, look how much space there is in the fridge now! I found several things, shall we say…past their prime? A couple completely empty containers, too! While I was at it, I wiped off the empty shelves and took out the garbage. But back to the menu….We have lots of potatoes and a little bit of corned beef, and a decent amount of meatballs and marinara from Sunday’s spaghetti dinner. A tomatillo, one big sweet potato, half a cabbage, celery, carrots, red pepper, lettuce, cilantro, apples, oranges, strawberries, limes, and tofu. I think my grocery list is going to be pretty short this week. 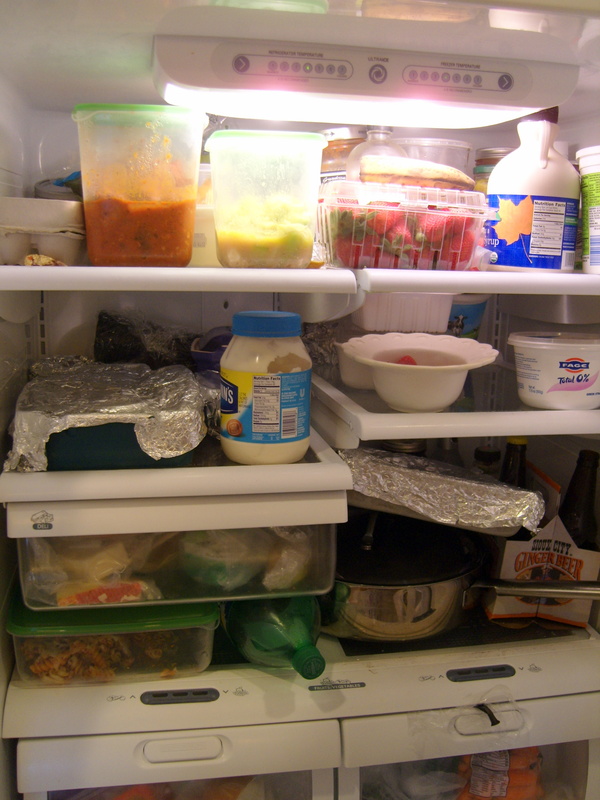 How do you manage your leftovers? Do you toss them, eat them, or transform them? Using up leftovers kind of depends in my house. Sometimes they go and make smaller lunches or we just have a leftover night. Sometimes I’m able to transform them into something new. For instance, last night I made a roasted leg of lamb with plans to transform that into Souvlaki! Leftover leg of lamb always makes great meals! Generally, we don’t ever have leftovers. I know. It’s kind of weird. I don’t cook with a lot of recipes, so most of what I make is tailor-made for our family size, I guess. If we do have some leftover, it’s not much. Maybe lunch for one person. My husband doesn’t mind eating leftovers for lunch at work, but neither of us have ever been big on eating the same dinner twice in a week. Whenever I think I might try to do that, it winds up going bad in the fridge because we prefer something else. And – yum – lamb!